The evenings get shorter, darker and the northern winds bring a chill to the city. Northern IL has never been as beautiful as it is right now. Red, yellow, orange and brown leaves covering the ground like a handmade quilt; accept the neat little squares are more like unique puzzle pieces fitting together to blanket the streets! As fall settles in we look to the first of the trail of holidays that will brighten our spirits and carry us through this winter season. Halloween is the holiday we all Love to Hate or Hate to Love! Many of usv(Like me..) despise the loss of summer and warm weather, others dread the spooky decor and haunted houses, and still more look to their bank accounts wondering where their savings will go! Yet children of all ages remind us that this is a time for indulging your imagination, letting your own fear take hold of you and relish in mythology of centuries past. 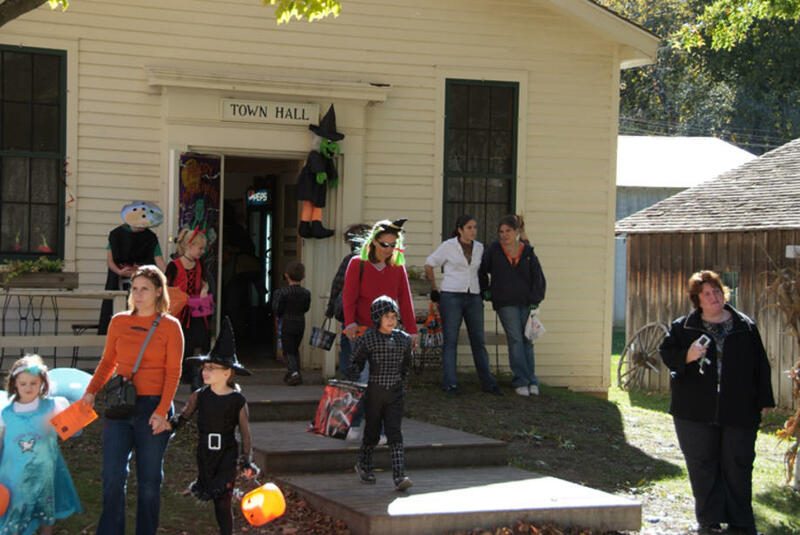 Rockford is the proud home of many businesses, educational facilities, forest preserves, botanical gardens, museums, etc that are embracing the spirit of Halloween to offer holiday themed events to residents of every avenue. There is an event for equestrian enthusiasts, swing dancers, history buffs, health conscious people and more! Whatever your passion, find a local event and get your spook on with people you can relate to. Enjoy entertainment from artists you enjoy all year round. Eat and drink among friends, perhaps lady fingers, eyeballs or creepy crawlers will be on the menu. Take a trip through history on a haunted tour, at a mystery dinner or at a costumed affair. 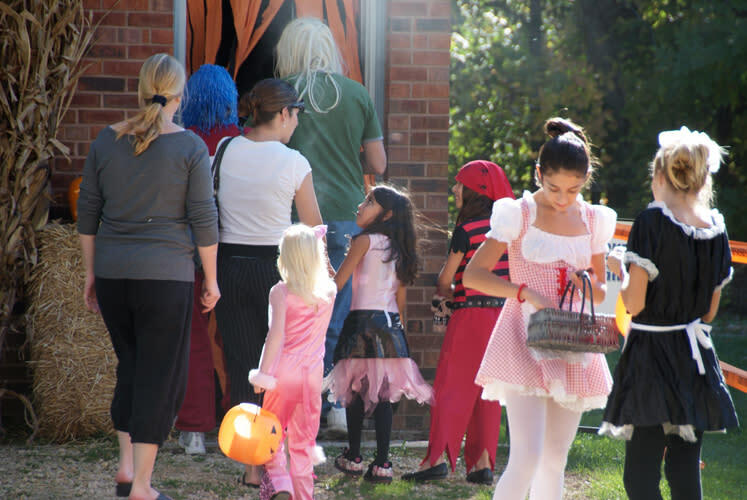 Several locations have children focused events, offering trick or treating, games, contests and more during daylight hours in safe environments! The Rockford Police Department has even ventured into the planning and attendance of a few events in the area! Get your children out there and let them enjoy the fall colors, the fun of dressing up, and the joy of celebrating among their own community. You can travel a short distance from the city (15-20 minutes) to many pumpkin patches or apple orchards in the surrounding towns. As our small town residents flock into the city to shop or have a good time, the city folk are also traveling to enjoy the country settings, corn mazes, haunted hayrides, pumpkins fresh off the vine, pumpkin chuckin’ contests and the best fresh Apple Cider donuts you can get! Bring the family and spend the afternoon hiking through the pumpkin field and pick the perfect size and shape for that Jack O’ Lantern design you have been dying to try! Get pictures with Frankenstein or Dracula, let the kids play and enjoy fresh snacks and baked goods in the gift shop. Many locations will hold fall festivals, special events, and costumed occasions. If you are looking for more of a chill up your spine or a PG 13/R Rated experience, Rockford also offers several Haunted Houses, and many local clubs will be celebrating the season with Halloween Themed Events. Teens as well as young adults from the city and surrounding towns will pack the parking lots on Friday and Saturday Nights to test their nerves and stomachs in Illinois most horrifying displays. If you survive the heart pounding excitement quench your fear and thirst with a friendly costume party downtown. Who knows you could win free beer for the cutest couples costume, best drag costume, hottest man or woman contest, or even the scariest costume! Dance the night away to haunted melodies or Halloween classics or walk the dark and dreary downtown square hopping from bar to bar and party to party. No matter what your heart desires this Halloween, Rockford offers a variety of fun and fear to satisfy everyone and make 2016 a Halloween you will never forget. Here is a fun listing of events for this Halloween weekend! Monday, October 31, 2016 from 5:30 - 7:30 p.m.
Costume contest and ride, Trick or treat trail and Ghoulish potluck dinner at 5 pm. All ghost and goblins welcome. October 29 @ 11 - 2 p.m.
David Seebach’s Wonders of Magic!